Cycle and walk in the company of a local, professional guide for a unique experience that’s relaxed and safe. The guides of Mugellove.it know the area like the back of their hand, and understand how the changing seasons and weather conditions can affect the path’s levels of difficulty. The guides will ensure the safety of riders, and in the unlikely event of a rescue, are competent and trained in first aid. The best part, is that the guides are local members of the community – born and bred in the areas you will visit on your trip, making for a very authentic and personal experience. Visit some special and hidden places, try the local produce such as oil and wine, and meet the people who actually produce them. Leave your worries behind and travel carefree with the professional guides who will accompany you and personalise each tour according to your needs. Florence, the hills of Fiesole and Mugello are the places where I was born and bred. I grew up learning something new about these astonishing places day by day. I’m deeply in love with this territory and all the people whom with their efforts, their passions and their stories shaped it into a unique place in the world. This feeling is the reason why I decided to start exploring and to share these beautiful places. The joy of living in such a wonderful context that combines history, traditions, nature and beauty can’t be considered complete without sharing it. For those who come from afar, I desire to unveil the most authentic aspect of these corners of heaven and let the travelers experience it through the eyes of a person who lives here every single day. For those who already know these gorgeous places I would like to change their perspective and make them gaze at the marvels they are surrounded by. 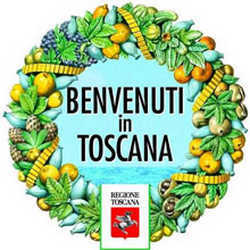 I’m an Excursionist guide of the Tuscany region, I got a qualification provided for by the Regional Law n. 42 of 2000, after attending a 600 hours professional course and passing the final exam. I have also attended a specialization course about leading tours in mountain bike. 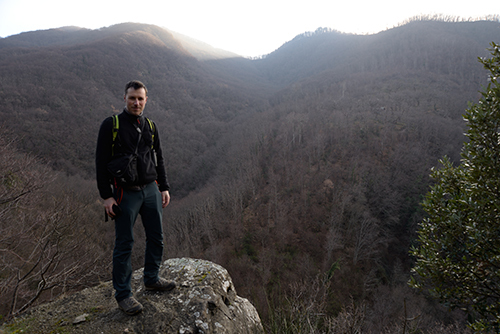 The law prescribes that the hiking guide must possess a Public Liability Insurance. In addition, it requires the proficiency in survival and first aid skills.